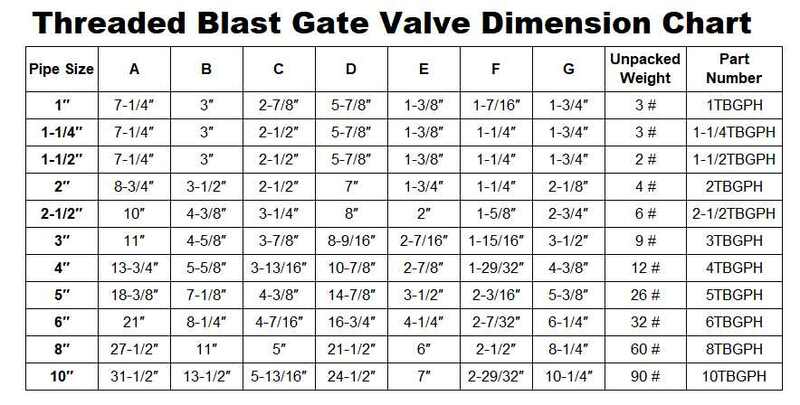 Threaded Blast Gate Valves – Tate-Jones Inc. 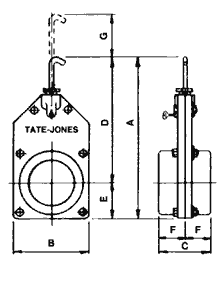 The Tate-Jones Blast Gate Valves are used to regulate air flow, and the flow of other materials in a variety of applications. A rugged cast iron body with NPT threaded pipe connections houses the precision-machined, self-cleaning, stainless steel slide. The slide is adjusted easily to any position by a choice of operating mechanisms. The Tate-Jones Blast Gate Valves are especially suited for low pressure applications where 100% shut-off is not required.